Legal Language Services ranks Kansas as a state with lightly regulated legal interpreting requirements. This does not mean, however, that you should hire a certified interpreter for every situation. Whether or not an interpreter is certified — let alone the level of certification — will have an effect on how much you are charged for legal interpreting services. Please be aware that some counties in Kansas may have specific legal interpreting regulations in addition to the statewide requirements. Legal Language can help you determine the best interpreter, certified or otherwise, for your legal interpreting needs in Kansas. Kansas does not require certified interpreters for any legal proceeding, nor does the state offer certification in any language. Certified Interpreter: An interpreter who has met the requirements of a professional organization or government entity through rigorous testing based on appropriate and consistent criteria. Qualified Interpreter: An interpreter who has been assessed for professional skills, demonstrates a high level of proficiency in at least two languages and has the appropriate training and experience to interpret with skill and accuracy while adhering to a code of professional ethics. According to a recent American Community Survey, approximately 10.52% of the Kansas population speaks a language other than English. Other languages spoken in Kansas include Hindi, Telugu, Russian, Japanese, Hmong, Bengali, Mandarin, Italian, Amharic, Persian, Kru/Ibo/Yoruba, Tamil, Portuguese, Urdu, Thai, Panjabi, Malayalam, Gujarathi and Cushite. Call Legal Language Services at 1-800-788-0450 to find Kansas interpreters who meet state interpreting rules for courtroom trials, hearings, depositions, arbitrations and other legal proceedings. The content provided on this page is for informational purposes only and should not be construed as legal advice. 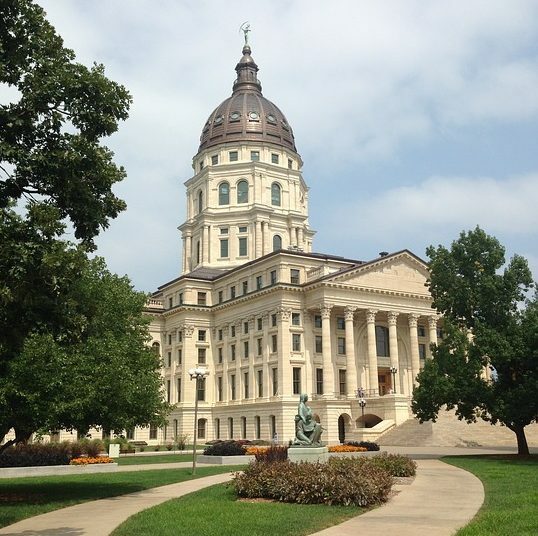 The information about legal interpreting guidelines in Kansas is believed to be accurate at the time of posting; however, Legal Language Services is not responsible for any errors or omissions.